Dental crowns give our patients an excellent long term option of repairing and protecting broken or heavily restored teeth. A single crowns acts similar to a little hard that is permanently cemented over top of a damaged tooth. A bridge is a way of using several crowns fused together as an option of replacing a missing tooth/teeth. At River Towne Dental, your crowns will be carefully crafted to give you the best function and appearance for your individual case. Our long term relationship with our very modern and up to date dental lab allows us to offer our patients the very best in esthetics and strength. 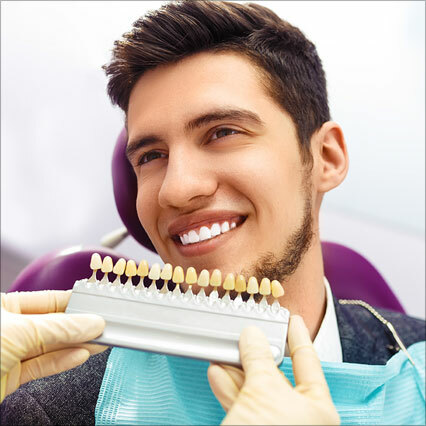 Rest assured knowing that both crowns and bridges seamlessly blend aesthetics and strength into the best restoration for you, allowing your smile to look and feel natural. Monday: 8:00 a.m. - 7:00 p.m.